This stunning home is an entertainers delight. It has a backyard paradise and features a saltwater pool. It has a screened in patio for bug free entertaining. 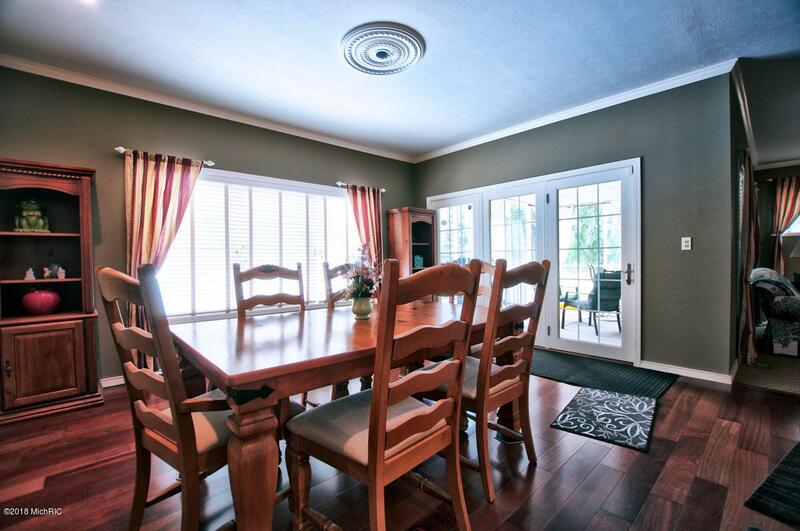 The home is a stunning ranch style and a bonus upper room with bedroom potential. 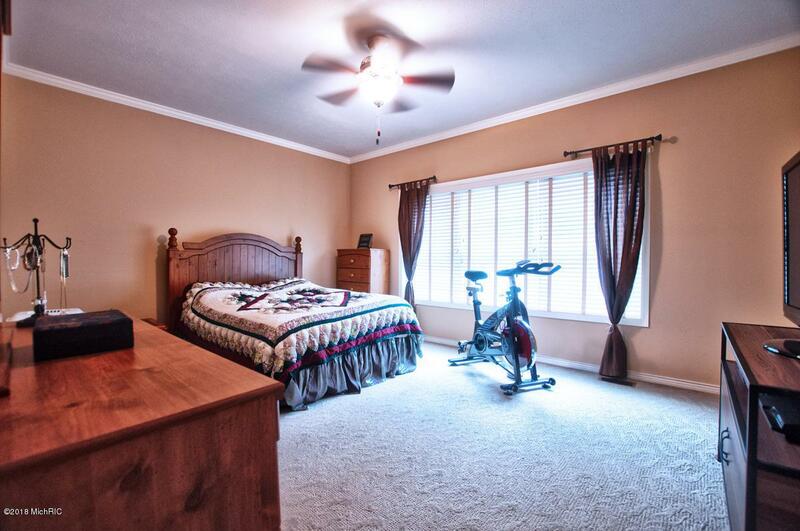 The spacious master suite has a walk in closet and luxurious bath with heated tile. Den can be 3rd main floor bedroom (has closet). Brazilian Cherry hardwood floors. The garage is over sized and will fit your truck, cars, motorcycles or tons of storage. 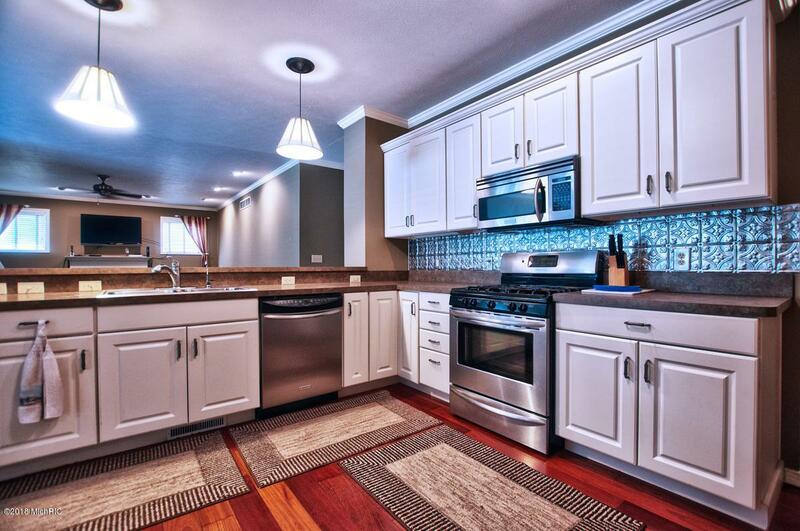 The kitchen comes with all stainless steel appliances, crown molding, nice fixtures. The bathrooms are luxurious. Home has ice detectors on roof, sprinkler and security system. Finished basement has sprayed foam insulation walls - top quality construction top to bottom. Home Warranty provided. Listing provided courtesy of Karin Buda of Berkshire Hathaway Homeservices Michigan Real Estate. © 2019 MichRIC, LLC. All rights reserved. Information deemed reliable but not guaranteed. © 2019 MichRIC, LLC. All rights reserved. Information deemed reliable but not guaranteed. Updated: 2019-04-23T16:01:19.923.